Hello! It’s the start of another week and I have a quick card to share with you today! This card was created for a friend of mine who achieved a very special milestone in her career last month! Bits and pieces of this card were made using several of the stamp sets that I have received in my monthly Paper Pumpkin kits. I also used the Mosaic Madness stamp set and the new hostess set Express Yourself. 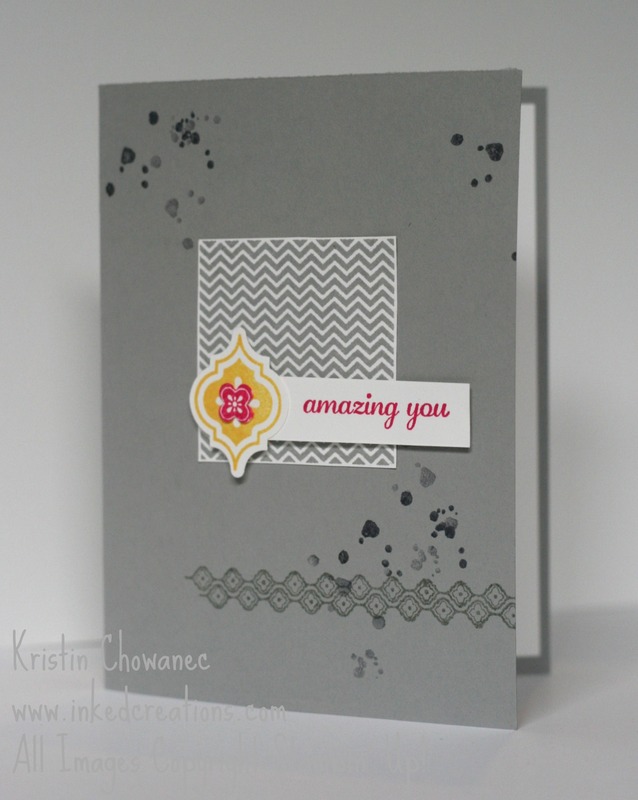 The colors used on this card are the new Smokey Slate, Melon Mambo, and Daffodil Delight. What a fun, modern, and trendy color combo! If you are interested in the monthly Paper Pumpkin subscription you can see more information here. Please feel free to contact me if you have any other questions.